If you've ever had a slate roof where you live one thing is for sure... it is messy to deal with in terms of maintenance. When it is installed there is a huge mess, then once it is installed, if there are any issues it becomes a specialty problem, requiring someone with knowledge in a field that is becoming less and less in demand, thus becoming smaller and smaller in terms of available contractors to call. Pinnacle Exteriors installs StormMaster Slate shingles, which are asphalt shingles with similar appearance to slate shingles, without the mess or maintenance involved with slate shingles. Check out this roof in it's different stages of replacement, and be sure to give Pinnacle Exteriors a call or click the free estimate button to get the same expert service at your home. 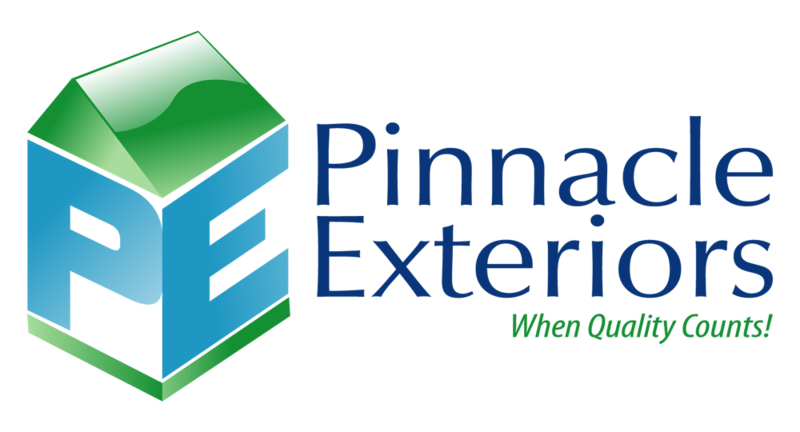 "Check out the nice words Mr. Dunn had for Pinnacle Exteriors about the roof and deck job completed at his Bethlehem, PA home in his written testimonial."